Rawai Muay Thai fighter Madsing, known in the gym as Top, went to Malaysia. He fought in the main event of the Art of Eight event organized by Cross Muay Thai gym on 11 September 2018. His opponent was Kim fighting out of Cross Muay Thai gym. It’s always hard to fight a boxer from the gym that is organizing the event, but Top was not fazed. And after 3 grueling rounds Madsing won by decision. We are delighted and wish to thank to Cross Muay Thai for organizing this event. We look forward to participating next year. 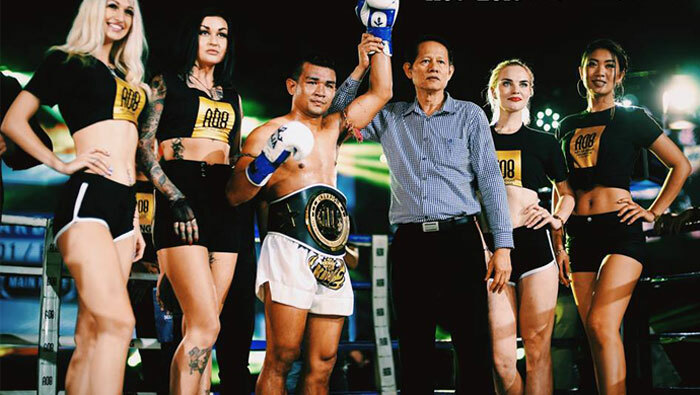 Promoters looking for an exciting and skilled Muay thai fighter at 64-66 kilos range, please contact Tuk: +66 (0) 810 788 067 or email info@rawaimuaythai.com. Watch the full fight here. Madsing’s fight starts at 22:25.